Polka Dot Overload | Sewing, knitting & vintage projects, tips, tutorials and cartoons! : Graphic Knits Blog Tour / Knitalong Post (w/ finished Bowerbird Wrap) Coming this Evening! Graphic Knits Blog Tour / Knitalong Post (w/ finished Bowerbird Wrap) Coming this Evening! Hi everyone! 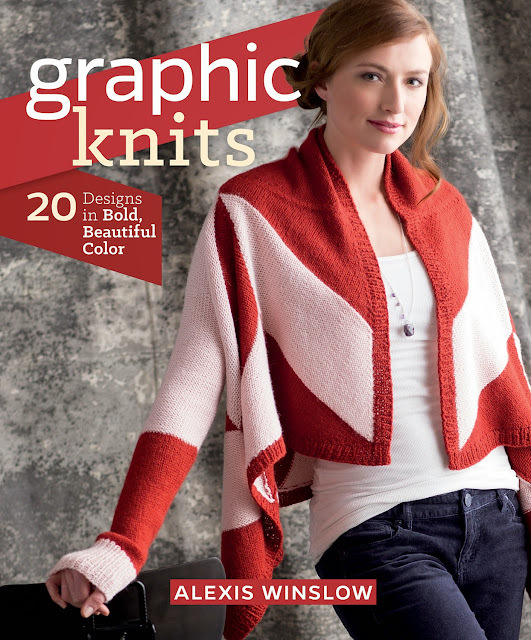 Just a quick note that I'm super excited to be part of the blog tour and knitalong for Graphic Knits, a gorgeous, colorful and inspiring new book from Interweave by my all-time-favorite knitting designer, Alexis Winslow.